The Furygan Cross Road D3O Sympatex Motorcycle Boots are part of the latest Furygan collection. 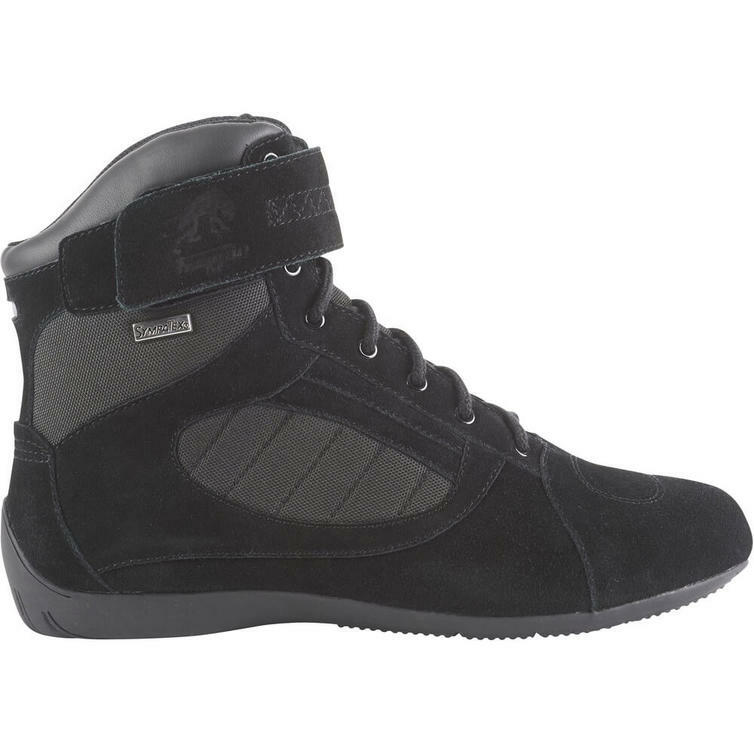 The Furygan Cross Road D3O Sympatex is a great combination between a motorcycle shoe and a motorcycle boot with a sporty appearance. The ankles are reinforced with D3O protection, and extra protection has been added on the heel and toes. You don?t have to worry in case of an unexpected shower, there?s a waterproof breathing Sympatex membrane in the Cross Road that keeps you temporarily dry. The Furygan Cross Road is CE certified as PPE. D3O protection on the ankles. Extra reinforcements on the heel and toes. Waterproof and well breathing Sympatex membrane. Velcro clasp which prevents the laces from being gripped by the motorcycle.